Scroll down for how to get a discount for purchasing both sets. add to cart $10.00 for both sets. 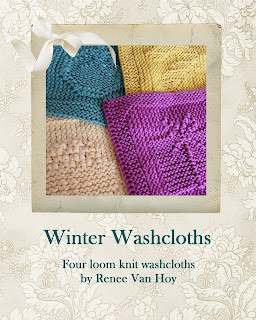 Winter Washcloths is a collection of winter themed picture cloth patterns. These were written to use with the new CinDwood looms in the fine 3/8 and 1/4 inch gauges, but they will also work very nicely with any 3/8 inch small gauge loom, or the smaller sized Kiss looms. Included in the collection are four fully written out patterns. I am also trying out some charts this time, using color blocks instead of symbols. I think that many of you who cannot read a chart with symbols might find the color blocks easier to use. 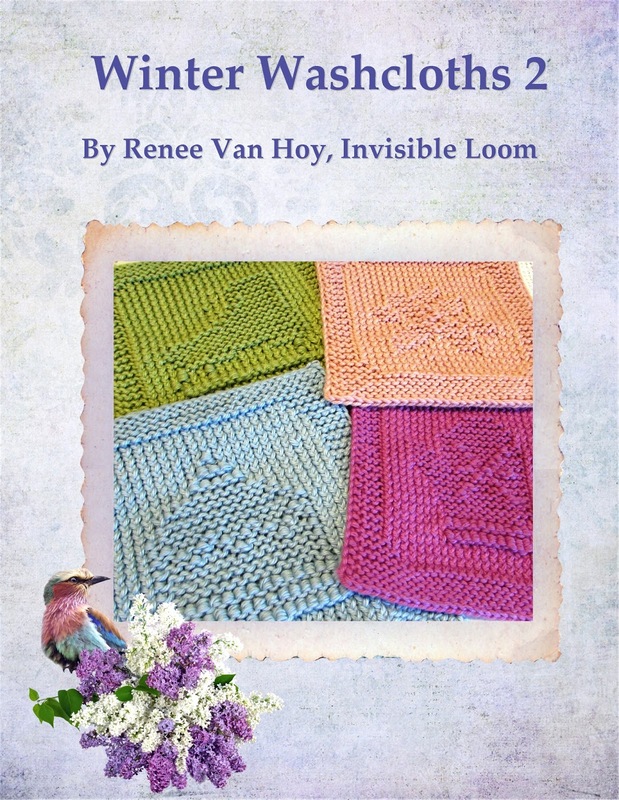 The key for the blocks is written for loom knitters, so it is "loom friendly" as well. You can also use the color block charts to try the patterns in two colors. Purchase both sets for $10.00 US from my Ravelry store. Use the "add to cart" option, and the discount will be automatic. Copyright 2015 by Renee Van Hoy, Invisible Loom. All Rights Reserved. Do not copy or distribute except for personal use.